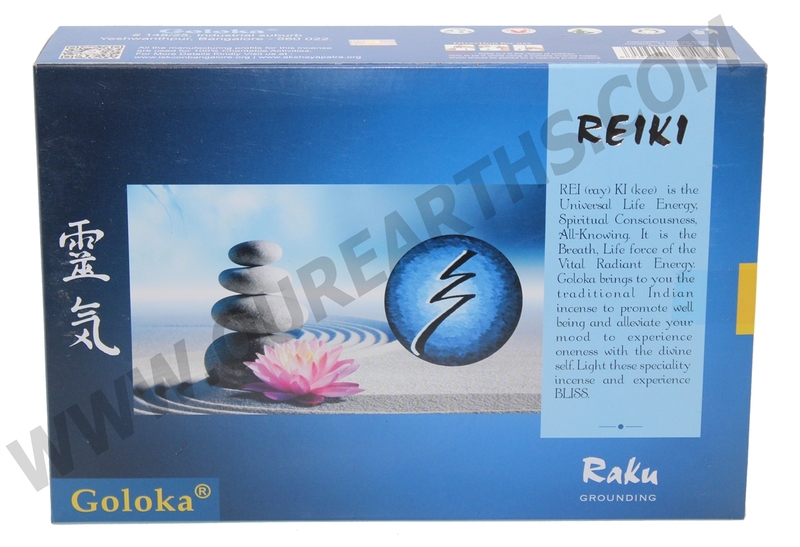 Enjoy this NEW Reiki Series from Goloka Incense. Available in various unique fragrance. Goloka Incense are made with natural ingredients. Sold per pack of 15 grams each (about 10 to 15 incense sticks). All the manufacturing profits for this incense are used for 100% Charitable Activities in India by Goloka. Incense Sticks measures approximately 8.5 inches long. Caution: Keep our of the reach of children. Only to be lit whilst using a suitable incense holder, which should be placed on a heat/fire proof surface.